See more objects with the tag interior, container, domestic, display, abstraction, biomorphic, amoeba. See more objects with the color darkgrey slategrey darkslategrey or see all the colors for this object. This is a Vase. 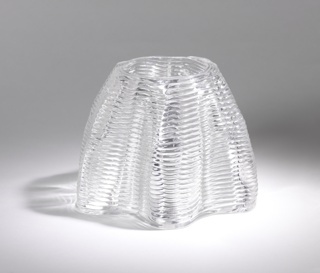 It was designed by Alvar Aalto and manufactured by Karhula-Iittala Glassworks. It is dated ca. 1936 and we acquired it in 1990. 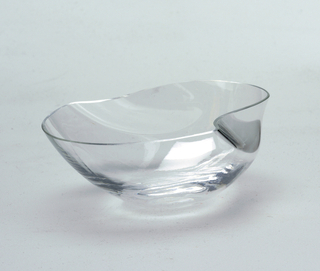 Its medium is mold-blown glass. 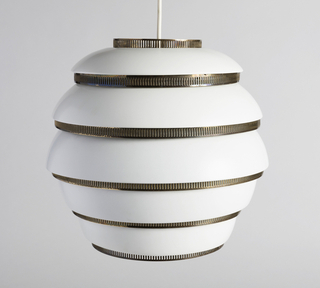 It is a part of the Product Design and Decorative Arts department. 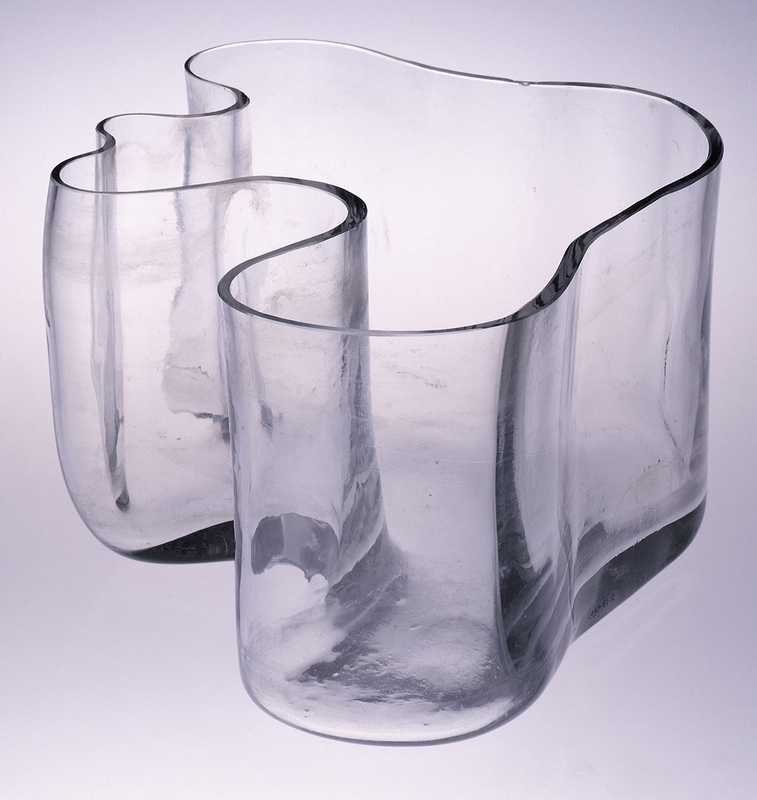 The thick-walled, richly textured body of this glass vessel, formed in a wooden mold, demonstrates Aalto’s interest in organic form and reflects the morphologies of his Finnish homeland’s forests and lakes. The undulating shape is an intentional departure from classical rigidity and a complement to Aalto’s laminated bentwood furniture. 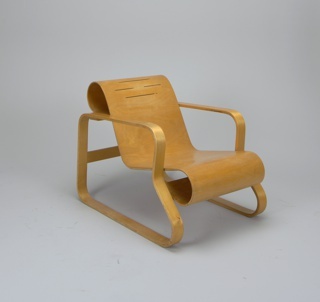 This object was featured in our Object of the Day series in a post titled A Wave of Finnish Identity. This object was donated by Harmon H. Goldstone. It is credited Gift of Harmon Goldstone. 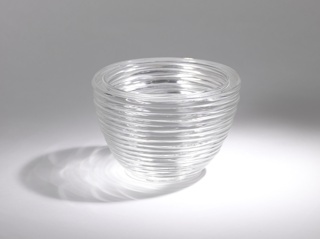 fused and thermo-formed glass threads (filet-de-verre). 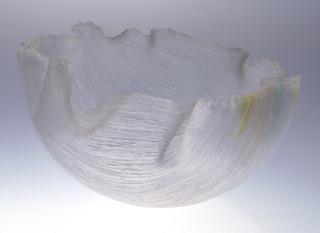 This object was previously on display as a part of the exhibitions	Making Design and Rococo: The Continuing Curve 1730-2008.